Spray tips slide into a hole in the front of the gun. 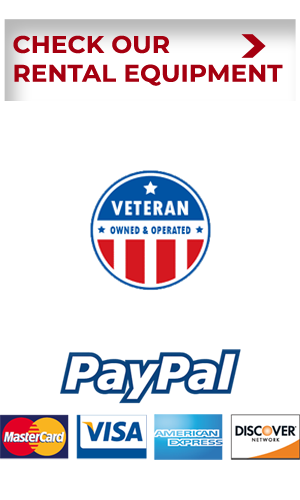 They’re labeled with a three-digit number like 309 or 517 (these may be the last three digits of a longer model number). Doubling the first digit tells you the spray fan width with the gun held 12 in. from the surface. 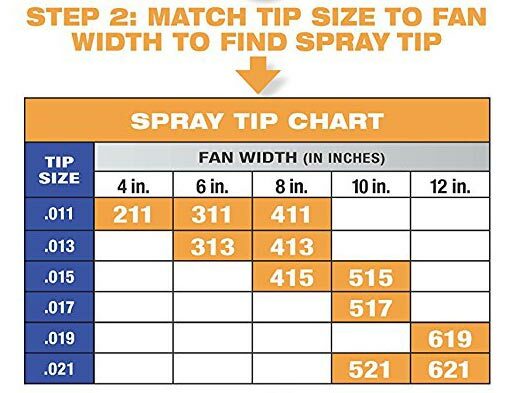 A 415 tip, for example, would have an 8-in.-wide fan, while a 515 would have a 10-in. fan pattern. The next two digits indicate the size of the hole in thousandths of an inch. 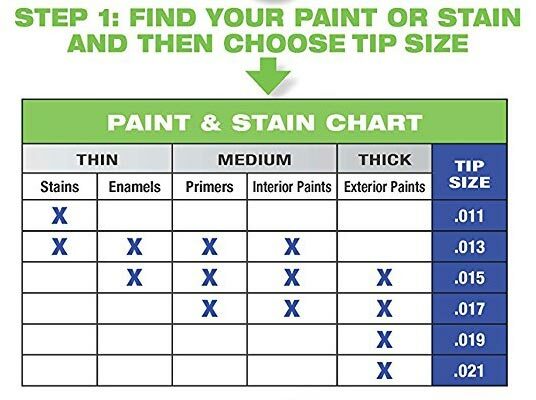 Choose a smaller diameter hole (.009 to .013) for thin liquids like stain or varnish and a larger hole (.015 or .017) for thicker liquids like latex paint. 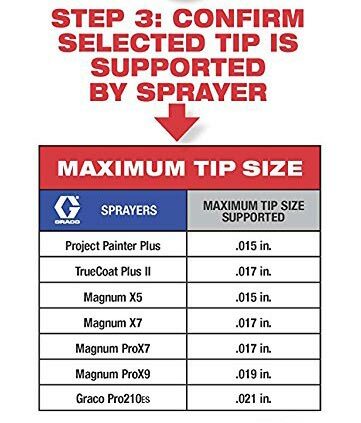 A 411 tip would work well for spraying varnish on woodwork, while a 517 is a good size for spraying large surfaces with latex paint.